1. 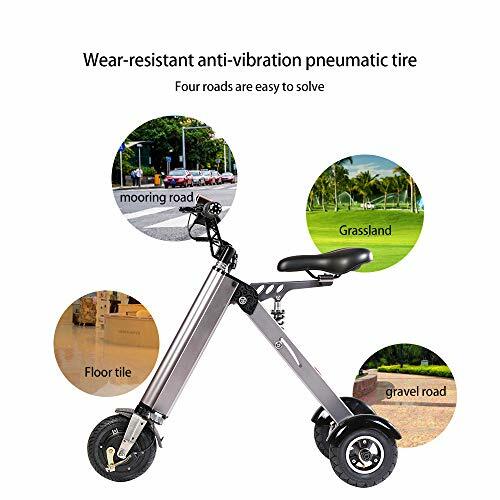 Adjustable Three Gear Speed:The first gear speed up to 20km/h;The second speed up to 12km/h;The third speed up to 6km/h.You can adjust the speed freely. 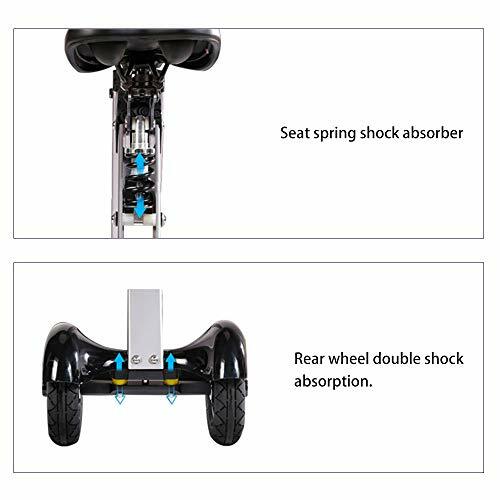 2.Three Shock Absorbers:The seat has one absorber,and the rear wheels have two suspension shock absorbers, make the tricycle more stable during riding,powerful and safe,the elderly and children are also available. 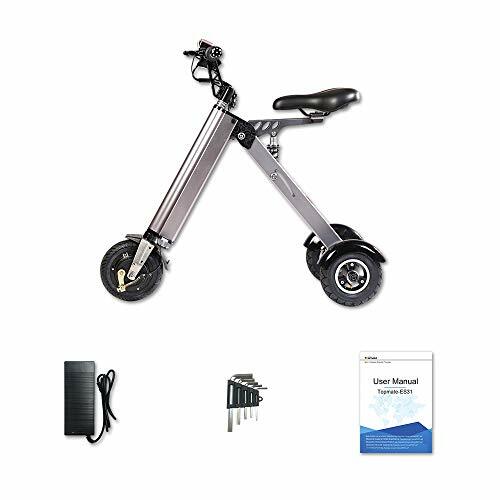 3.Portable and Lightweight ?Mini electric tricycle,the total weight is only 14kg,folding,easy to lift with one hand,can be placed in office,elevator,trunk etc.to prevent theft. 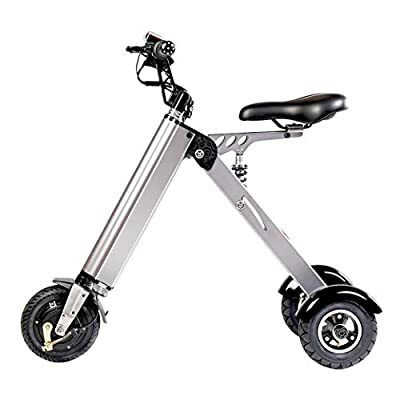 4.Good Load Bearing Capacity:98% of the whole vehicle adopts aviation aluminum alloy, which is firm and light, with high physical properties and corrosion resistance. 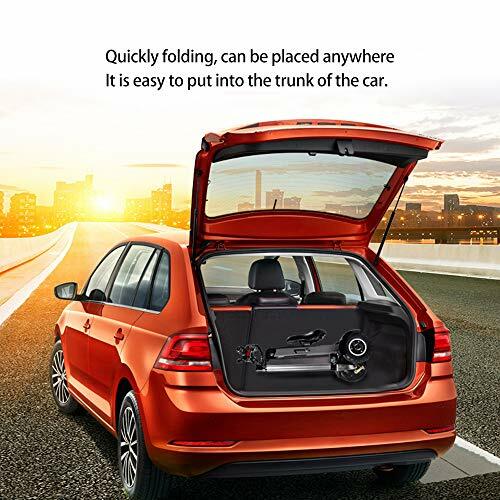 The whole vehicle quality is only 14kg, but the carrying capacity reaches 100kg. 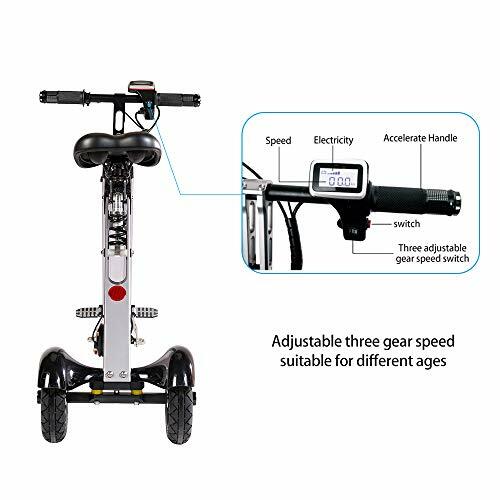 5.Durable Battery:18650 power lithium battery, only need to charge for three hours, endurance performance can up to 30km.Battery life is five years,durable,the best choice for short trips.